JMS is proud to announce the release of our first iPhone application, as well as plans to develop more. The U.S. Navy Salvor’s Handbook is now available for your iPhone. The U.S. Navy Supervisor of Salvage wanted to provide to their on-scene salvage personnel, access to their extensive library of marine casualty response know-how; the “hard-earned and sometimes blood-stained” knowledge and lessons-learned from decades of U.S Navy response to all types of commercial and military ships in distress around the world, during peacetime and war, and salvage operations of all sizes and scopes. The Salvor’s Handbook was intended to be a condensed and ready-reference of expert guidance that could fit in the salvor’s hip pocket. JMS Naval Architects & Salvage Engineers first authored the U.S. Navy Salvor’s Handbook for the Supervisor of Salvage in 1990, and since its initial publication, JMS has received thousands of requests for the handbook from commercial mariners and salvors all over the world. Commercial and military marine salvors are not the only ones who find this ready-reference indispensible. Owners and operators of both commercial and recreational vessels of almost any size and purpose will find this practical compendium of marine casualty response know-how very handy – if not invaluable – before, during and after a ship casualty. Naval architects, marine engineers and other maritime professions rely on it as a handy diagnostic, repair, design and engineering reference; while at the office, and on the water. 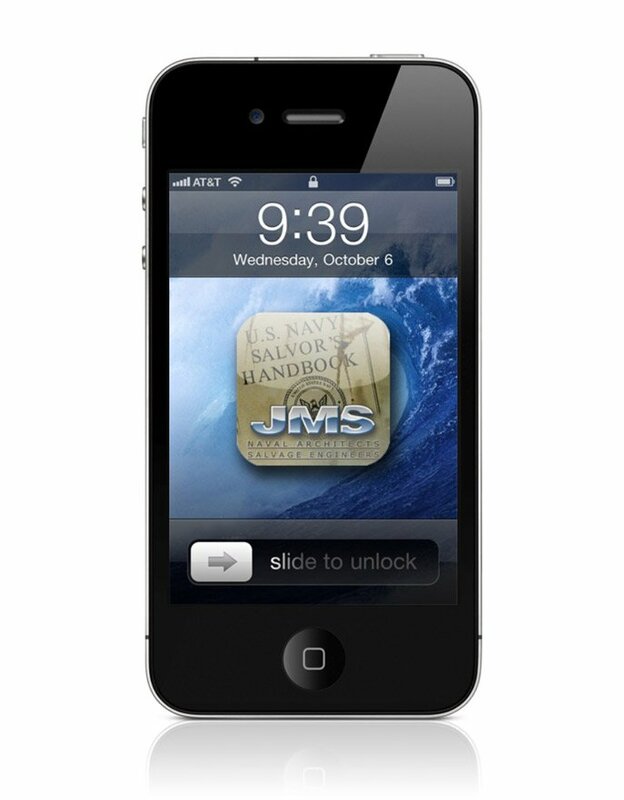 JMS now makes the same expert guidance available for your iPhone – search “Salvor’s Handbook” in the App Store.